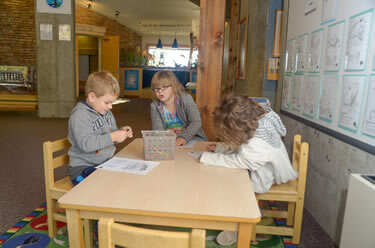 A favorite of our younger visitors and a great place for them to show off their artistic talents. An osprey, a large fish-eating bird of prey, keeps watch over the entrance lobby. This preserved specimen is perched on the edge of a life-size nest atop a manmade platform. Several nesting pairs of osprey have made the Reservoir their home since 1991. 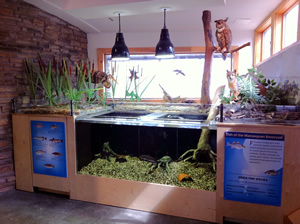 Many visitors are drawn to the living aquarium and diorama depicting the rich fauna that can be found at the Manasquan Reservoir. Insects, fish, amphibians, reptiles, birds and mammals are all plentiful in this 1,200-acre park. 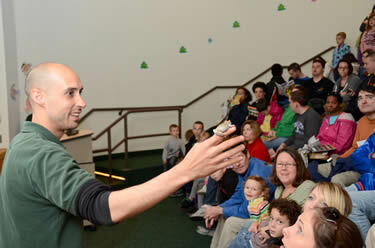 Visit the auditorium for a nature movie or program. Schedules vary. Relax and enjoy some of the 200 bird species that are found at the Manasquan Reservoir throughout the year. Migration is the amazing annual movement of animals between breeding and non-breeding habitats. Several kinds of animals migrate, including certain fish, mammals and insects. However, it is most apparent with birds. Among the more than 200 bird species that have been found at the Manasquan Reservoir, more than 75% are migrants. Seasonal changes in food and weather force some species out of environments that become unsuitable for feeding or raising young. Instinct leads birds on this round-trip journey. 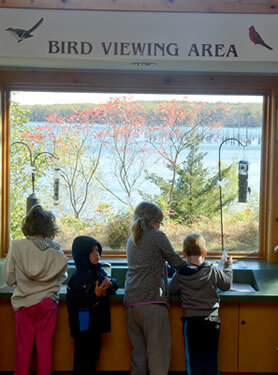 Visitors enjoy learning about bird migration as they scan for avian life at the bird observation area. 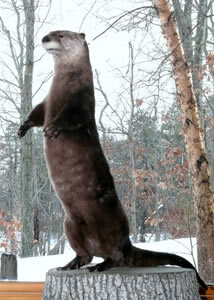 Learn more about this secretive inhabitant of Monmouth County's more secluded rivers.